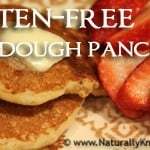 Gluten-Free Sourdough Pancakes - super easy to make! Simple gluten-free sourdough pancakes, paired with some lovely homemade sausage or bacon and fruit is one of our favorite breakfasts. Most often enjoyed on a Saturday morning! The slight tang of the sourdough offers a perfect balance with real maple syrup and rich grass-fed butter. Sometimes we even top them with fresh whipped cream for a gourmet treat. Have you started your own gluten-free sourdough starter yet? I began my gluten-free sourdough starter over a month ago love watching it bubble away on the counter. It also means that our pancake breakfast is quick and easy in the morning with just a few minutes of preparation the night before. 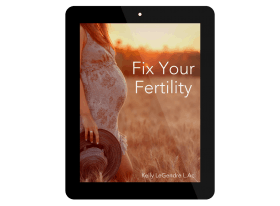 And I love knowing that the food I serve my family will be easier to digest, allowing us to absorb more nutrients from it. The recipe we’ve been using is based on the whole wheat sourdough pancakes I’ve made in the past, just updated to work with our family’s dietary needs. The night before you want to make these: mix the starter with 1 cup of GF flour mix and 2/3 cup water. Leave it in a warm place overnight to continue the sourdough process. In the morning add the sweetener, egg, oil or butter, sea salt, and either fiber or xanthan gum. Dissolve the baking soda in the water and then gently fold into the batter. Place about 1/4 cup of the batter onto a medium-hot skillet and flip when the bubbles in the batter stay open. Cook the second side until done. Serve with a quality grass-fed butter, nut or seed butter, and/or maple syrup. I use 1/2 cup oat flour and 1/2 cup millet flour for the gluten-free mix. You can also use sorghum or teff, or even a store-bought blend, just stick to whole grain flour. This recipe can easily be doubled and they store well in the refrigerator for a few days. 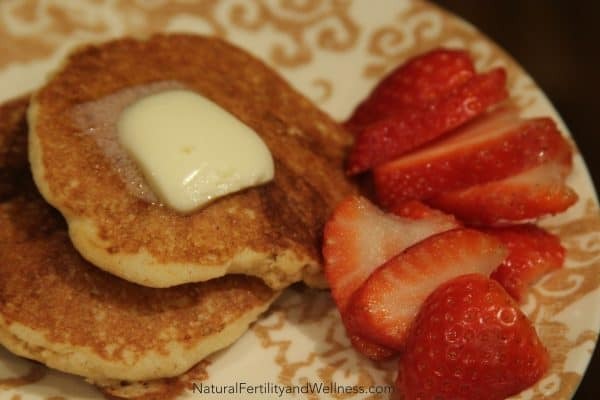 This is the best sourdough gluten free pancake recipe; tastes great. I made some changes; I used 2 cups of Bob’s mill all purpose gluten free flour; I used organic maple flavor and honey instead of maple syrup; I used canola oil; no salt and salt free xanthum gum. I believe the inherent structure of the recipe is still present, I just made dietary changes and economic ones as well. These came our great. I meant to write salt free baking soda, sorry. Also, I am 61 and not hormone challenged, this just tastes good. This is a delicious recipe. I made a few changes: salt free selrzer water instead of water and unsweetened applesauce since we didn’t have maple syrup and we’re short on honey. I used Bobs RedMill oat flour and sorghum flour. I didn’t combine them and let it sit overnight. Instead i just made them this morning. The seltzer made the batter really light and fluffy. I whisked it thoroughly also added more seltzer as needed. They came out light and fluffy with a nice hint of sourdough. I topped mine with organic reduced sugar blueberry preserves. A fruit compote would have been good too.